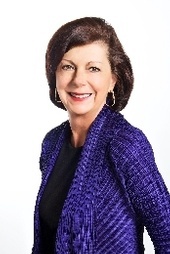 Carol has over 30 years of experience in various sectors of the real estate industry and started with Jencor in 2000. Her past experience includes significant involvement in new home and resale markets where she applies her extensive knowledge to find the best solutions for her clients. Clients have witnessed the pride Carol takes in being part of the professional team that puts the latest financing tools into their hands. Because of the extensive array of options available through mortgage brokers, her honest advice has been particularly valued by her clients. A hallmark of her service is her ability to listen carefully so she understands client needs. This enables her to match solutions to the needs of her clients so that they are confident with the financing decisions they make. From the first word spoken, you will recognize the friendly and confident approach Carol takes with each and every one of her clients. To experience the difference an expert can make to meeting your financing needs, you really should contact Carol today!